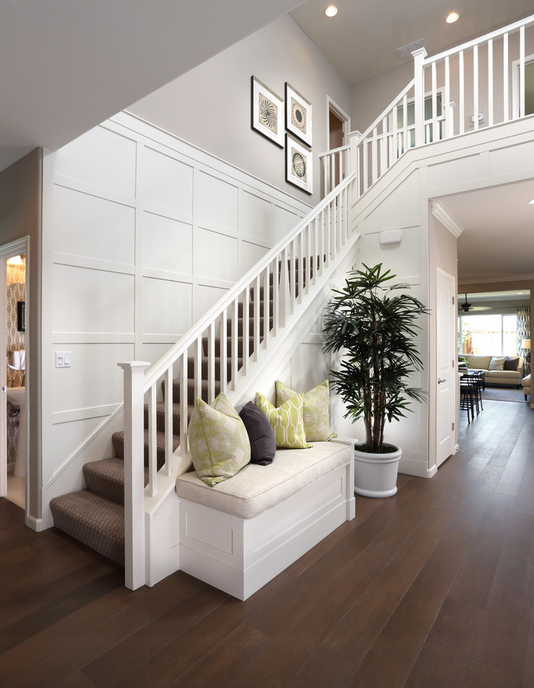 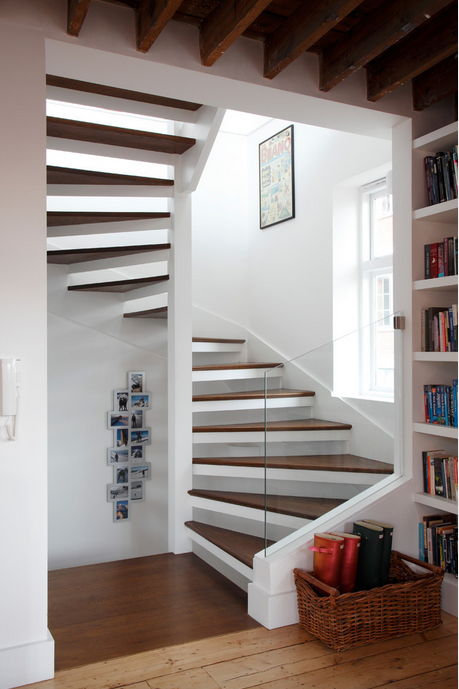 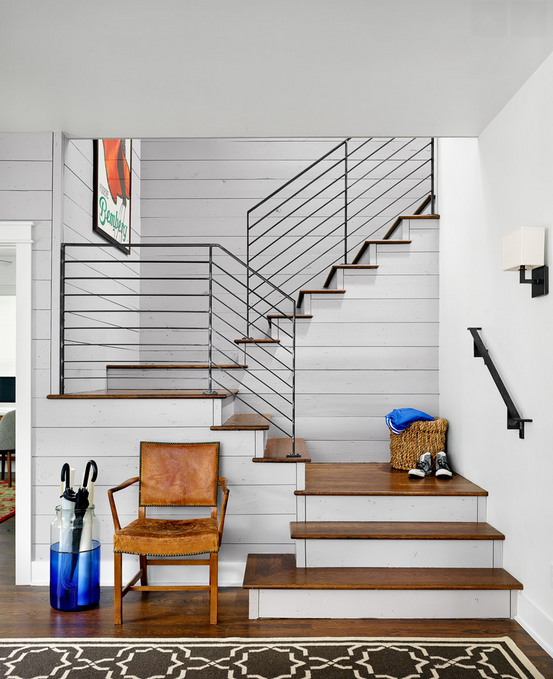 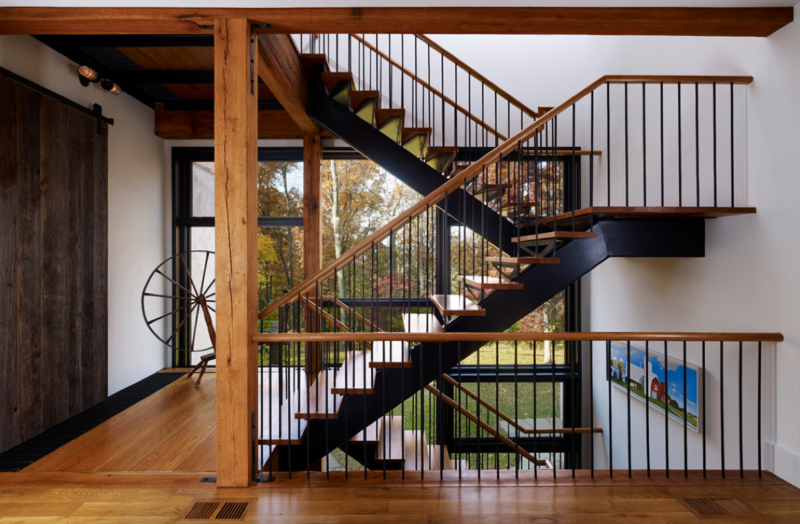 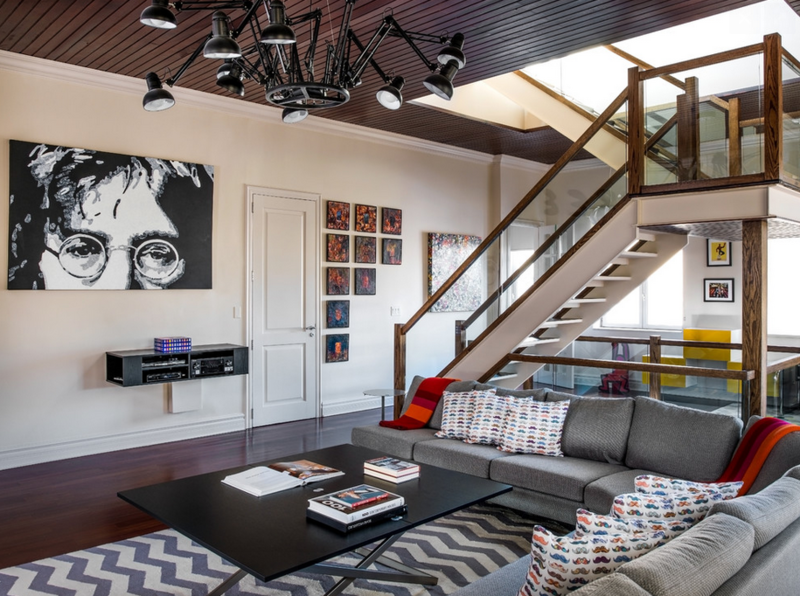 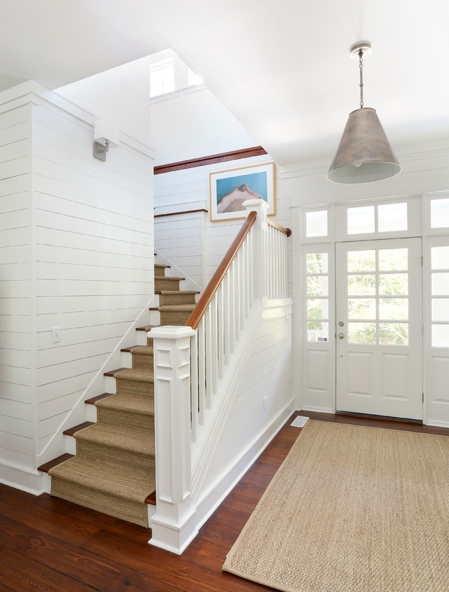 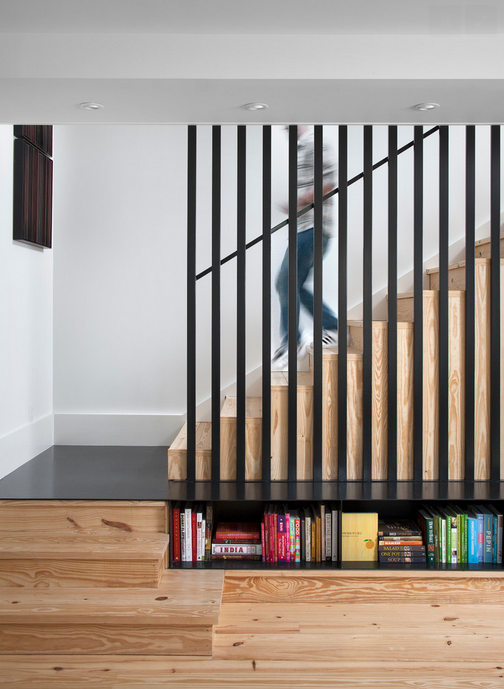 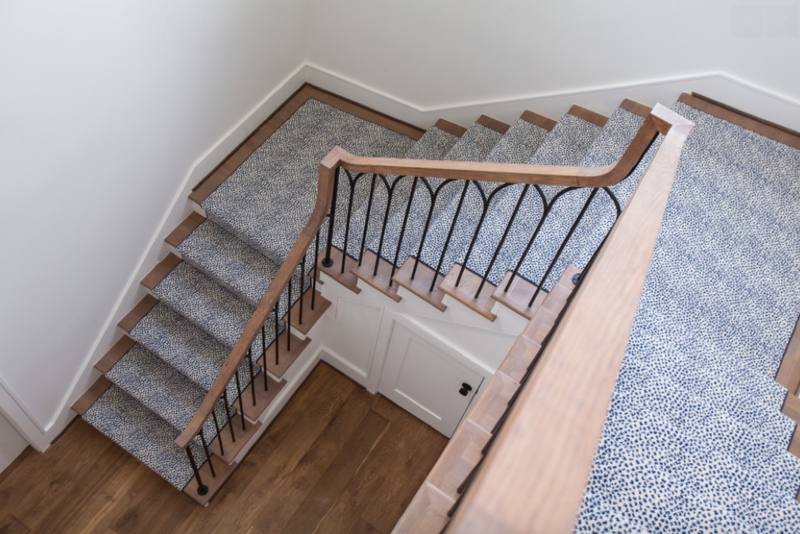 If you are thinking of renovating to open up your floor plan but you’re tired of that uninspired staircase, this article will give you a few tips for dressing up your stairs so if you want to harmonize your renovations with the staircase the following pictures offer you 29 inspirational ideas on how to do it! 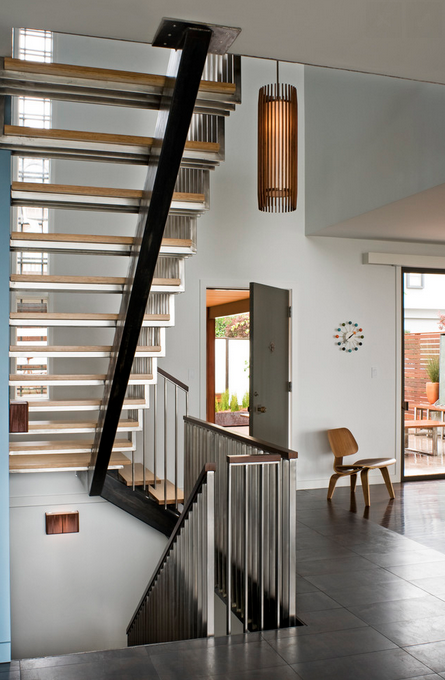 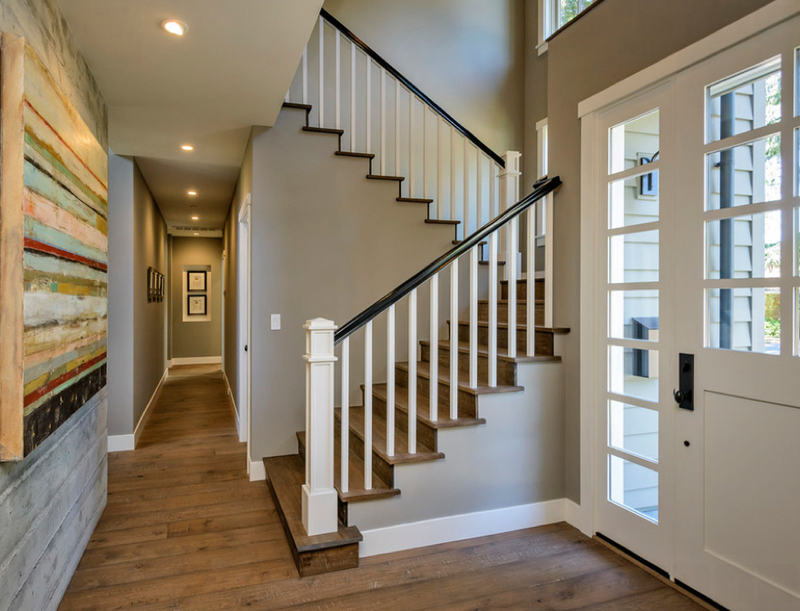 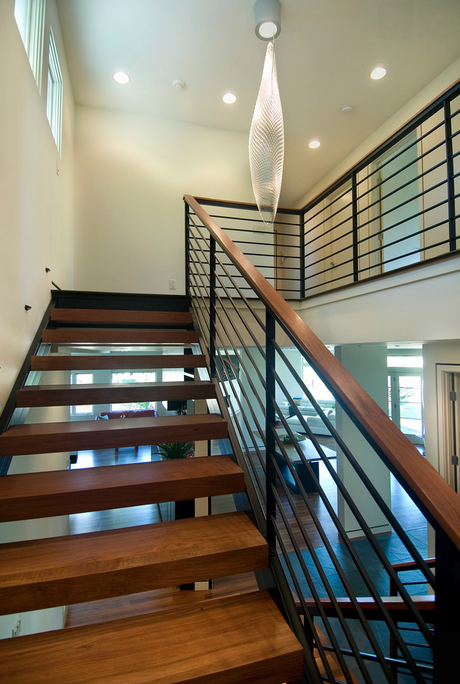 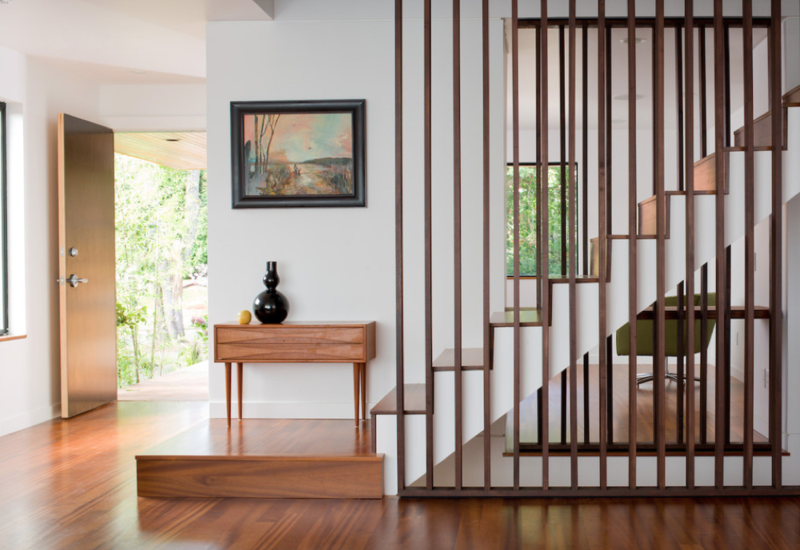 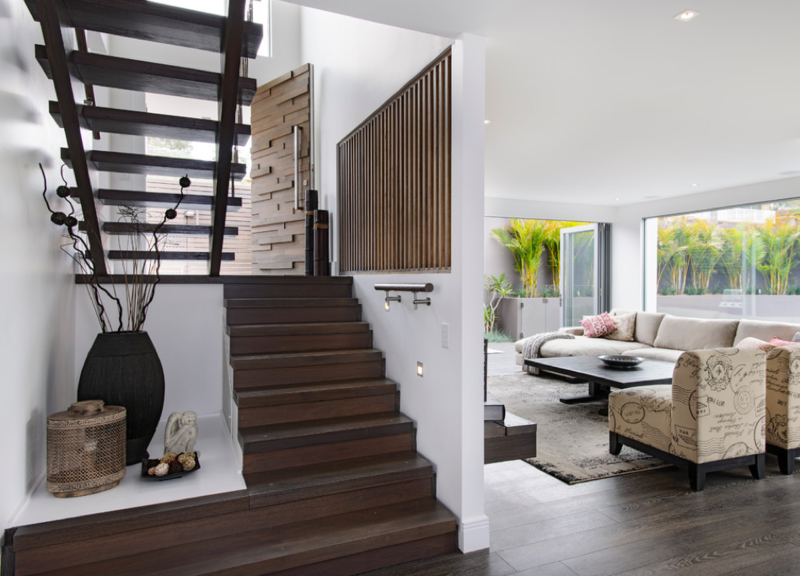 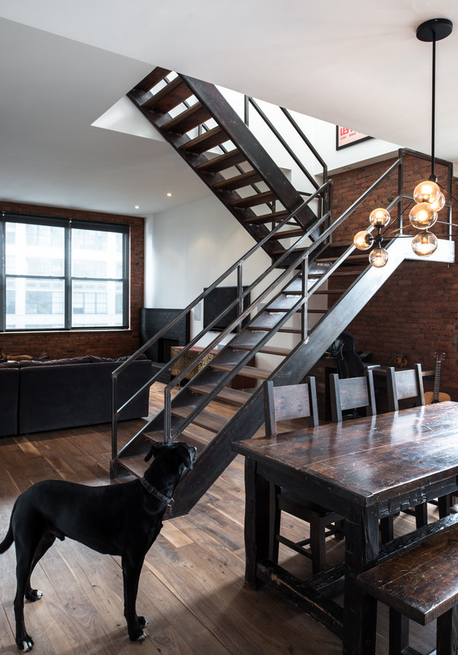 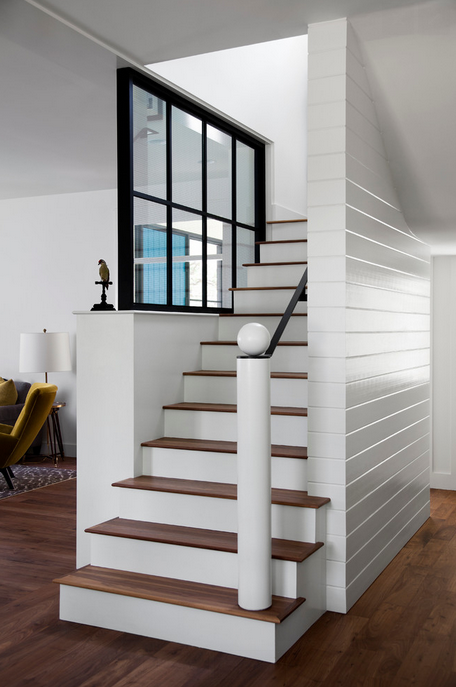 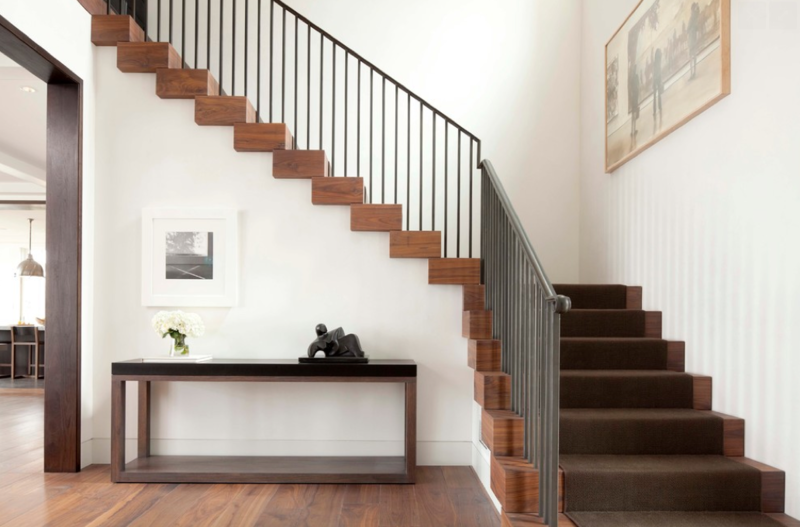 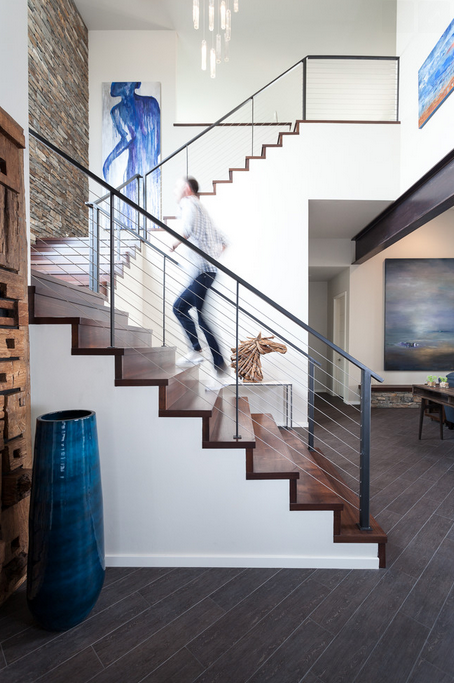 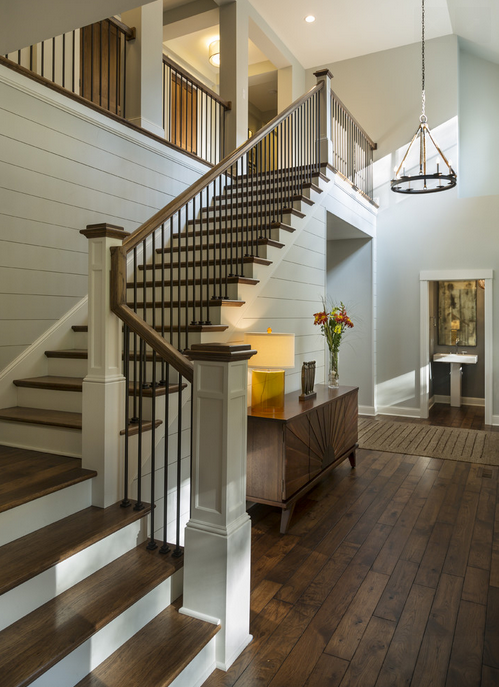 Beautiful chocolate tinted, wooden stairs blend well with the neutral on white color scheme throughout the rest of the space. 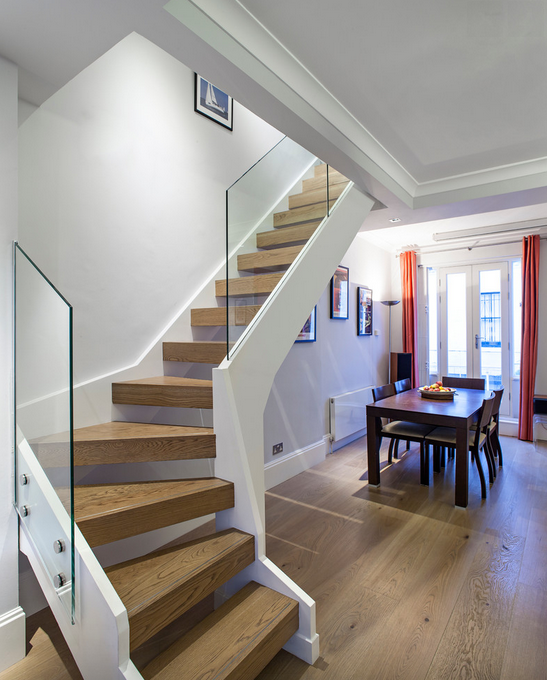 Lighten up with a wall of glass to replace a solid wall that helps to open up the space and add visual appeal! 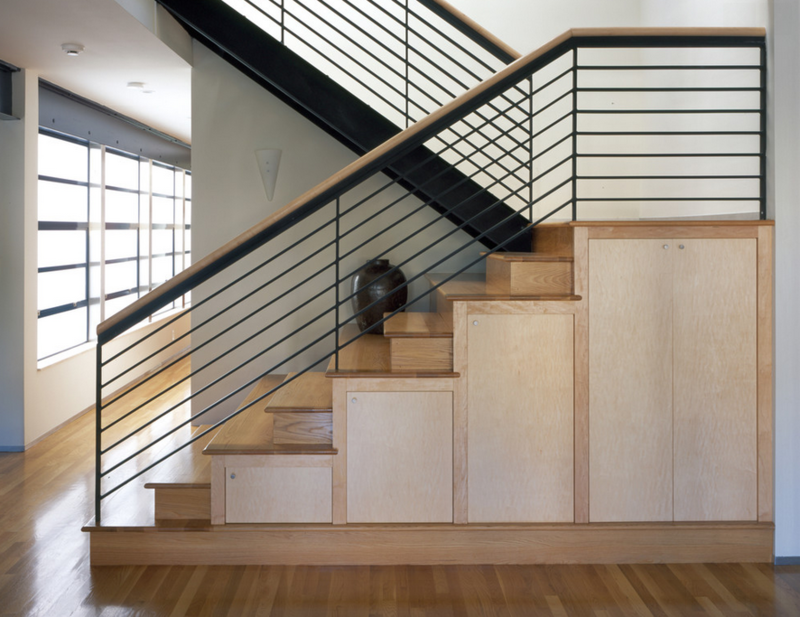 The contrast of these two materials is enhanced when keeping it simple by maintaining clean lines. 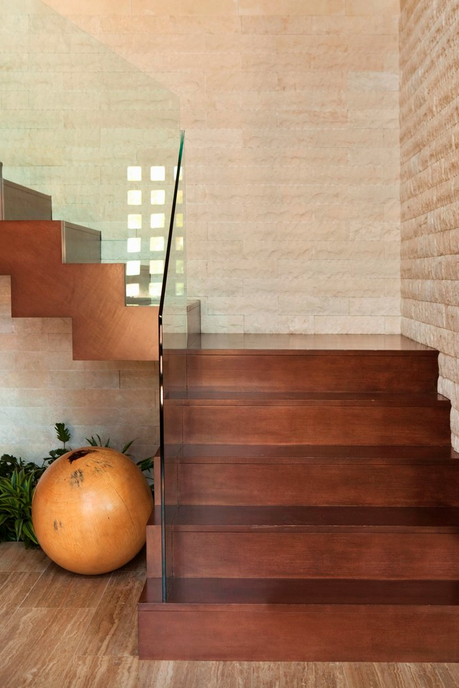 The extremes of strength from the wood and visual fragility of the glass come together to create an interesting blend that add a unique signature to the room. 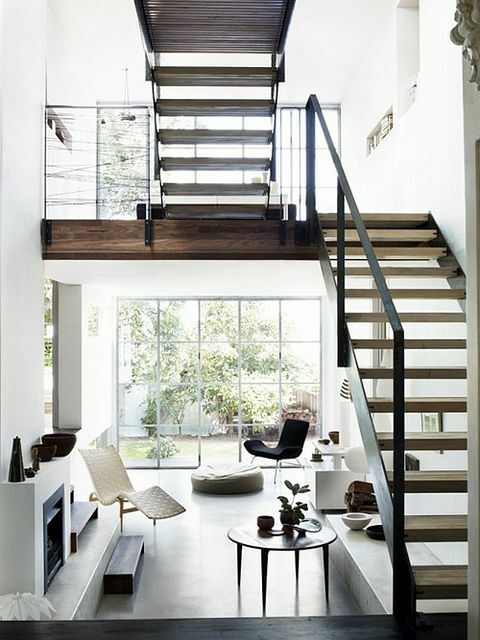 Modern and rustic at the same time ! 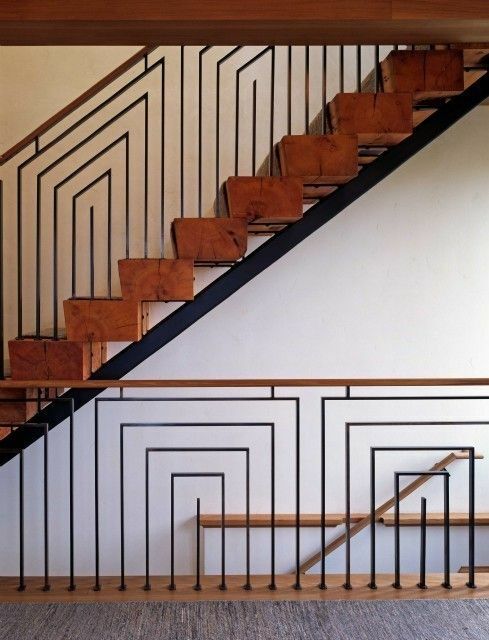 An original style created by geometric black metal in the guardrail. 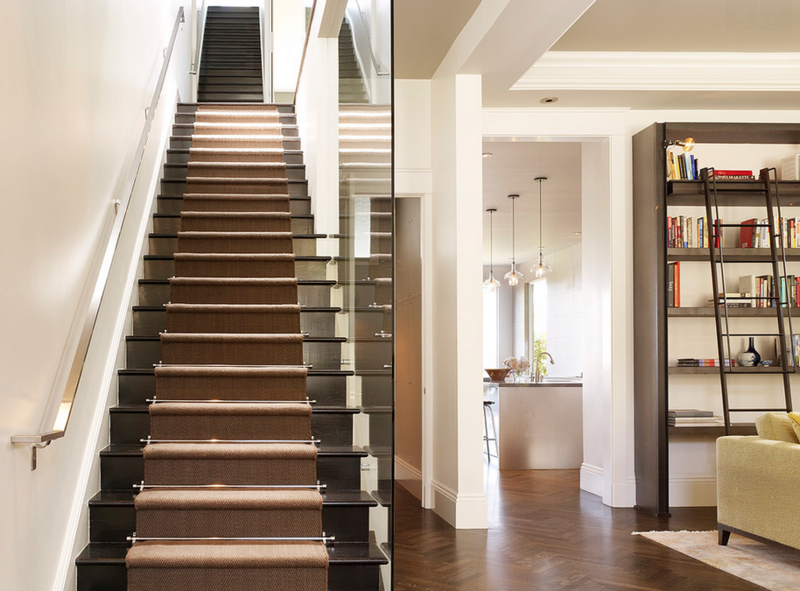 Storage beneath the stairs is an excellent way to optimize space but why stop there…you can create a cupboard, a bookshelf, an office space or even a tiny powder room if space permits.